Discover the best real estate investment strategies. This ultimate real estate blueprint will unlock the keys to the very lucrative real estate market. When it comes to reliable investment opportunities, real estate is one of the most time-tested of all options, having been successfully turning a profit as long as the concept of land ownership has existed. As such, it is one of the core asset types that professionals recommend for any portfolio regardless if the holder is just starting out or simply looking to diversify. It offers a wide array of benefits when it comes to liquidity, profitability, cash flow, net worth, and diversification which help to ensure it is the right choice for a vast majority of investors. Inside you will learn everything you ever wanted to know about real estate investment including how to get started even if you don't have tens of thousands of dollars readily available or if your credit is less than perfect. You will also learn how to find the best properties that require little to no work before they can be put to work; along with the cheapest properties that offer the greatest potential for profit, as long as you are willing to work for it. You will also learn in-depth strategies for success regardless if you are looking to buy property and hold onto it for the long-term, or if you are more interested in flipping houses as quickly and frequently as you possibly can. I would definitely recommend this book to a friend. It's well read, well-delivered, and discusses a topic that most of us are sadly poorly informed on! A lot of my friends are millennials, like me, and they don't think real estate and investing is for them. Listening to this made me see that it's not as impossible as it seems. What was one of the most memorable moments of Real Estate Investing? I would say one of the most memorable moments was the breakdown of the way you can pay for investments outside of a bank. It's nothing that I'd ever thought of before! If you could sum up Real Estate Investing in three words, what would they be? I like the part where the author challenges you to ask yourself questions about real estate to determine your knowledge and whether you're ready to make the jump. It uses introspection to decide if you've got what it takes right at the beginning rather than giving you all the information first so you're not wasting your time. What about Dean Eby’s performance did you like? His voice is very nasal and I found that annoying, but he reads clearly and without a lot of emotions so it fits the topic without making it seem overly dry. Yes, it was pretty short so I didn't feel it needed to be split up. The information was also rather basic so it didn't need a lot of thought or notes. There's information about rentals as well as flipping which is nice. A lot of investment books just focus on the former so this is wider in the knowledge it covers. Real Estate is one of the more stable investing opportunities for someone wanting to increase their income without a great risk. The book will take you through different scenarios and help you decide what type of investing is best for you. They start with the basics, teaching you how to approach potential partners for investing, what they expect you to bring to the table and a standard down payment. Then you delve into what type of property you are interested in buy and hold, which is a way of creating steady monthly income or fix and flip where you purchase undervalued properties, refurbish them and sell for a profit. After reading this book you will have gained a great deal of knowledge and a concrete ideal about the kind of Real Estate Investing you plan to pursue. Admittedly I have no interest in becoming a real estate king. I saw The Big Short and immediately tried to figure out if we are doomed. Husband says no so the jury is still out. Still, it never hurts to be informed right? This book got five stars because the performance was outstanding. I didn't really understand everything but Dean Eby was entertaining to listen to. Super upbeat. I felt like he was a real estate personal trainer. GET THE GAINS!!! Totally kidding. That was my ex personal trainer. He was cool until his girlfriend dumped him and I kind of feel like he took it out on me but that's another story never mind anyway. As you can tell I have a limited attention span and yet I was able to listen this from start to finish. Again, I'm not going to be a real estate mogul anytime soon but this was an interesting listen. I've always been hesitant to begin investing in real estate because it has seemed like a larger and scarier beast to tackle than other methods of investing. However, this guide has given me so much more knowledge of the processes and the lingo that I'm actually considering taking the leap. The author goes over the pluses and potential drawbacks of investing in real estate and has a wealth of insider knowledge. He also takes the time to go over the different ways you can invest in real estate. I was happy to see that it isn't all just about flipping houses! 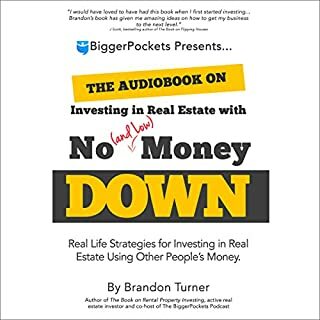 I definitely recommend this if you're thinking about getting into real estate investing but are a little cowed by the idea of being a landlord or constantly flipping houses. Real Estate investing is much more than these things! Good Luck! Wow, I couldn't believe how much useful and well laid out information there was in this short audiobook! Most adults at one time have considered going into Real Estate invest, whether it is for renting, personal use or to flip houses for a profit. This guide covers the basics and walks the reader step by step through the process so they can learn what to expect and prepare for. You will learn great advice on finding the right property, acquiring a good price, what to think about when remodeling, profit margins and also how to find a good tenant. Don't let this golden book for Real Estate Investment pass you by! The world of real estate can be tricky, especially if you are a new buyer. 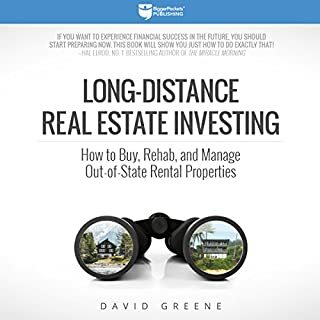 It's easy to get turned around and backwards in the market, and that's why you need a book like this to help you on your way to real estate freedom. 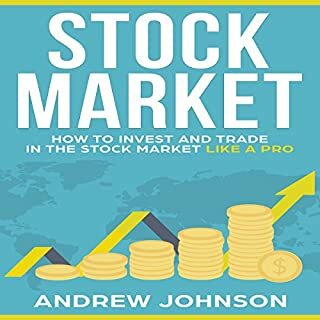 I enjoyed many of the tips that Johnson gave in this book, and I believe it will help me in my endeavors. Though it's a big leap, this book has given me confidence that I can make it. It seems to me that real estate investing has really taken off these last two years. I actually just completed my certification to become a real estate salesperson and one of the classes I also chose to take was real estate investing. Therefore, I feel I can say without a doubt that Real Estate Investing: How to Become a Real Estate Investing King was full of useful information and it expanded upon what I learned in class. It’s nice to get a first hand view of it from a person who does this on a daily basis. 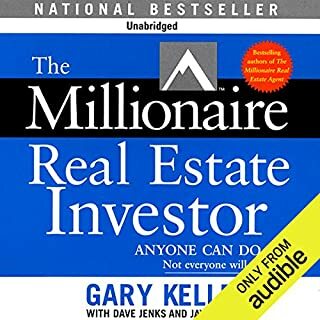 I appreciate the time and thought that went into this audible book and I think anyone interested in real estate investing should definitely give it a listen. It also takes the listener step by step through the process and gives you some food for thought. Real estate investing is one of the biggest markets in the business and financial world. While real estate investments can be scary, this informative book details everything you need to know. 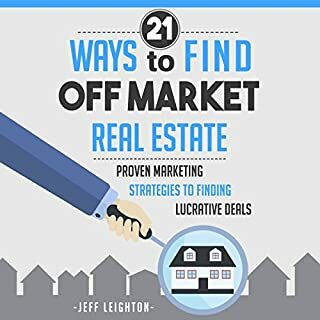 The book gives you expert advice on finding the right property, getting a good price for your purchase, the pros and cons of remodeling, and how much you can profit from your investment. 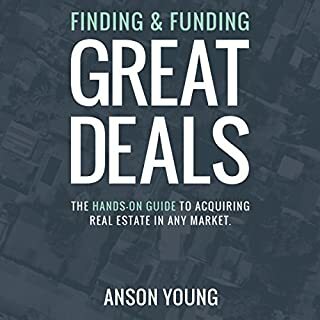 For anyone who's ever thought of getting into the real estate investment market, this is a book to help you get jumpstarted on your new venture. Real Estate Investing is amazing! A great read for anyone preparing to enter the world of real estate investment. This book starts with the basics a person would need to begin in the real estate investment business. It prepares them by ensuring they have the essentials needed to get going and speaks to them about the long term plans they will need in place early on to maintain their financial viability. 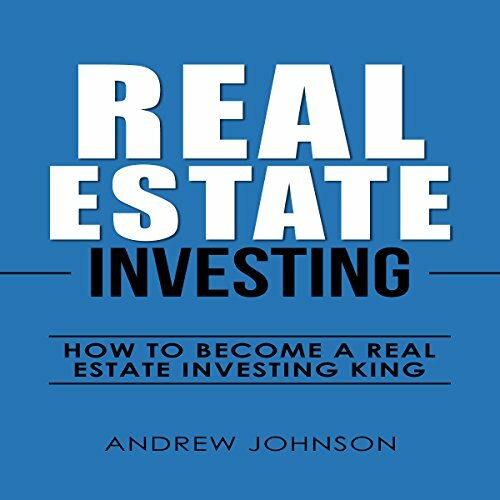 Mr Johnson advises his readers/listeners on how to determine the types of properties best suited to them and how to get a return on their investment. Mr Eby's translation was excellent.